MAKE TODAY THE DAY YOU TAKE A STEP TOWARD CHANGING YOUR LIFE FOR THE BETTER! Every day you will receive The Mindset Reset Happiness Challenge direct to your email inbox. Commit and set a time each day to go through the program and complete the activities. If you miss a day just catch up and keep going. Each day should only take 30 minutes or less to complete. With written information, videos and practical activities this program suits all learning styles. You may wish to do this together as a family or couple, as it will bring you closer together. “Thank you Jamie for teaching not only me but my two wonderful boys that are 12 and 14. I just want them to learn this early so they can reach their full potential in life”. Despite what people might think – happiness is not automatic and it doesn’t just happen: it takes ongoing effort. And just because you don’t feel sad, doesn’t mean you actually feel HAPPY. Most people go about their day on autopilot and THIS IS NOT HAPPINESS. To be truly happy and successful in life you must feel at peace within yourself and content with your overall life. You can achieve this by learning how to TRAIN YOUR BRAIN and hard-wire it for happiness REGARDLESS OF YOUR CIRCUMSTANCES. I learned to do this after suffering from depression for 17 years. Whether you are just on autopilot or you’re actually unhappy and/or depressed, you can learn to do this too. 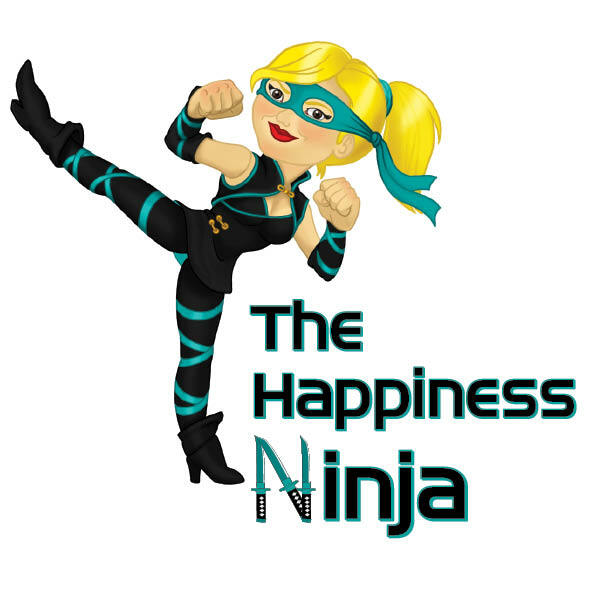 It takes some practice and this is why The Happiness Challenge was developed – to show you how! Start the transformation to living your life to the FULLEST. Learn how to thrive with the scientific study of human happiness and flourishing. IT IS NEVER TOO LATE TO MAKE A POSITIVE STEP IN THE RIGHT DIRECTION! Retraining my neural pathways is changing the way I see myself in my own eyes and the way I believe others see me. It has strengthened my belief in myself which in turn is giving me better relationships with others. I am gaining a better understanding of brain function which I feel is a key element that has been missing in my life. Being able to understand why I do things the way I do allows me to see where I need to make changes that I could not see before. While I may not be in control of actual events that happen in life I now realise that I am in greater control of the way I feel about them, and the way that they effect my day to day happiness. The 21 day program changed my way of thinking in many ways. It helped me actively look into my mindset and took me out of my comfort zone to explore areas of my life that I struggled with. I was surprised that activities I initially feared, actually became enjoyable. It has given me invaluable strategies going forward with which to use daily in order to empower me and give me confidence in areas of life that I otherwise hadn’t discovered. I recommend this wholeheartedly as a way of gaining a new perspective to really be able to experience life fully. This course has challenged me personally and professionally and helped me immensely at a pivotal moment in my life. When I came to know about this online workshop I was wondering how it would work. But after completing the online program I’m impressed the way you work, awesome lady. I found this program very supportive as current scenario is full of distress, tensions, and negativity. This is a kind of refreshment for the brain and I appreciate your hard work and devotion. Thanks a lot I enjoyed and it really makes a difference in our attitudes towards life. I enjoyed the 21 day program because it made me conscious of the fact that happiness is in my control. Since meeting Jamie and doing her classes and 21 day program my life has become less stressful. I cope better and I now do not take antidepressants anymore. I feel so much more centered now thank you. Been to have help before but they didn’t have the impact you have in a matter of fact way. I have really enjoyed the program and learned a lot of great stuff. I appreciate your work and feel 10/10 happier than I did when I started. Thanks for the daily challenge – It’s brilliant. Jamie’s program has helped me to better understand myself. My knowledge of how the brain works has significantly increased and allowed me to communicate much better with my friends and family. Since completing Jamie’s program I am in a much better state of mind than before I started the program. As a result of one of the tasks in the program (which definitely pushed me outside of my comfort zone but in a really great way), I have even resolved a problem that I had and regained a friendship previously lost. This program has helped me a lot – more than I thought it would.